This is a drop pendant that showcases a certified, natural 4.42 carat bluish-green heated triangle shaped sapphire with measurements of 11.63mmx11.43mm. Its gem source is Sri Lanka; its transparency and luster are superb. Sparkling round brilliant cut diamonds frame this sapphire and on the front of the oblong-shaped bail totaling 0.48 carats. 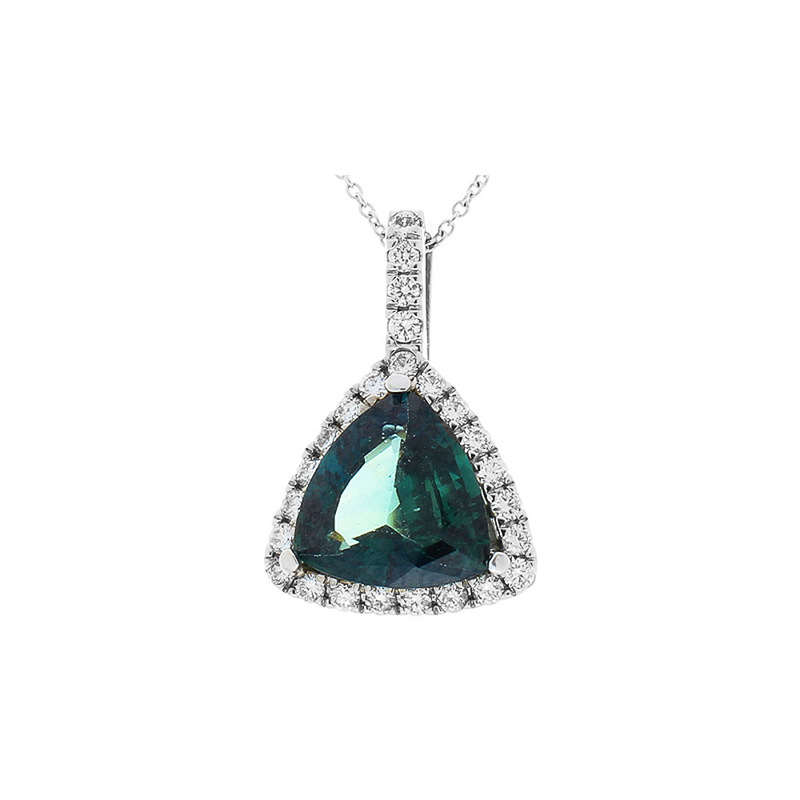 Made in brightly polished 18 K white gold, the triangle shaped gem makes for the perfect pendant. Accompanied by an EGL lab certification card upon purchase.